AFS adds Veljan to our strong product line-up. 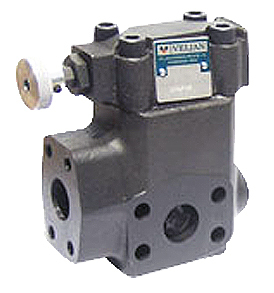 Veljan manufactures high quality single, double, triple and drive train Vane pumps, Vane motors and pressure control valves which are now available through Advanced Fluid Systems. 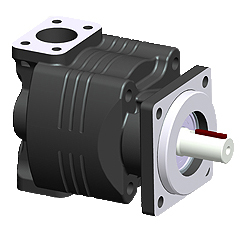 The Veljan pumps offer a comprehensive range and a large variety of flow capacities with low noise levels. Vane motors are manufactured in four basic frame sizes, feature reversible shaft rotation with a wide choice of torque ratings and port locations. The pressure control valves have a superior performance and design, even under high flow conditions and can be connected directly to the pumps via a sub-plate, threaded or flanged mounts. Veljan Denison Limited can be traced back to Denison Hydraulics India Limited which was originally set up in 1974 under the technical and financial collaboration with the Denison division of Abex Corporation USA. This is important when searching for Denison products. The Veljan Vane pumps were at one time manufactured in the same plant as the Denison pumps and are completely interchangeable. Many design improvements and quality enhancements have been made since to the earlier designs. Veljan products boast high durability, low maintenance, hassle free performance and corrosion resistant. 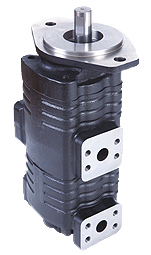 The Vane fixed displacement pumps can be used a direct replacement for Denison, Vickers and Bosch Rexroth pumps. For manufacturer’s and OEMs, this is a strong product with great performance and reliability with a competitive price. The pumps and pressure control valves are stocked in Oakland Georgia which decreases delivery times to you. Contact Advanced Fluid Systems for more information about the high-quality products from Veljan.